Dr. William Glasser, a psychiatrist who published more than two dozen books promoting his view that mental health is mostly a matter of personal choice, a precept that found a vast popular audience and influenced teachers, drug counselors and personal therapists, died on Aug. 23 in Los Angeles. He was 88. The cause was respiratory failure, his wife, Carleen, said. 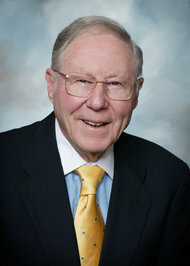 Dr. William Glasser, whose books “Reality Therapy” and “Choice Theory” sold widely. Dr. Glasser’s first popular book, “Reality Therapy,” published in 1965, sold 1.5 million copies. It became the foundation for a series of how-to books about resolving emotional and mental problems by accepting responsibility for them. By avoiding the urge to blame others, or to relive past hurts, Dr. Glasser asserted, people could find happiness essentially by choosing behaviors that improved their relationships, and increased their chances for happiness. Dr. Glasser’s 1965 best seller and a 1969 sequel, “Schools Without Failure,” in which he tailored his ideas to the classroom, were among many books published in the 1960s by psychotherapists who proposed alternatives to the Freudian model of prolonged, deep-dredging psychoanalysis, which they rejected. Dr. Glasser’s approach, like many of the others, shifted power from the analyst to the patient, emphasizing the ability of individuals to shape their own lives rather than be shaped by personal history. ■ That the only person one controls in the world is oneself. ■ That the effort to change others is doomed and, worse, is the actual cause of most emotional problems. ■ That to meet the most profound human need — “to love and be loved,” as Dr. Glasser put it — people must repair strained relations with their family, friends and co-workers by adjusting the one variable within their control: their own behavior. In “Schools Without Failure,” Dr. Glasser urged teachers to abandon coercive methods like class ranking and punitive grading. To help children assume responsibility for their own behavior and academic record, he said, teachers should develop “caring relationships” with students, sign contracts binding both teacher and pupil to certain standards of behavior and performance, connect all lessons to everyday experiences and never give a failing grade. Dr. Glasser had many critics. Some were skeptical that children could assume so much responsibility for themselves. Others objected to his assertion that Reality Therapy was useful in treating serious mental illnesses like schizophrenia. Asked in a 2002 interview whether his theories were naïve, as some critics contended, Dr. Glasser said naïveté was no sin if the methods worked, and he insisted that they did. William Glasser was born on May 11, 1925, and grew up in Cleveland, the son of Betty and Ben Glasser. His father worked as a watch and clock repairman. He was a painfully shy young man, he told interviewers, and felt obligated by his family’s modest means to seek an education that would provide a good job. But after earning a degree in chemical engineering in 1945 from what is now Case Western Reserve University, Dr. Glasser found himself so unhappy in his work that he returned to the university a few years later to study psychology and earn a second bachelor’s degree. He earned a medical degree from Case Western in 1953, completed his residency at a Veterans Administration hospital in Los Angeles, and took his first job as a staff psychiatrist at a reform school for girls in Ventura, Calif., where he found many of the case studies that he later used in Reality Therapy. Besides his wife, Dr. Glasser is survived by a son, Martin; a daughter, Dr. Alice Glasser; a brother, Henry; a sister, Janet; nine grandchildren and two great-grandchildren. His first wife, Naomi, died in 1992. A son, Joseph, died in 1998. In a 1984 interview with The Los Angeles Times, Dr. Glasser said he formulated his basic ideas while serving his residency at the V.A. hospital. A version of this article appears in print on September 6, 2013, on page B15 of the New York edition with the headline: William Glasser, 88, Doctor Who Said Mental Health Was a Choice, Is Dead. Is Parkland Accused Murderer, Nikolas Cruz, Deserving of a Fair Trial? Our Avon Store is Open!